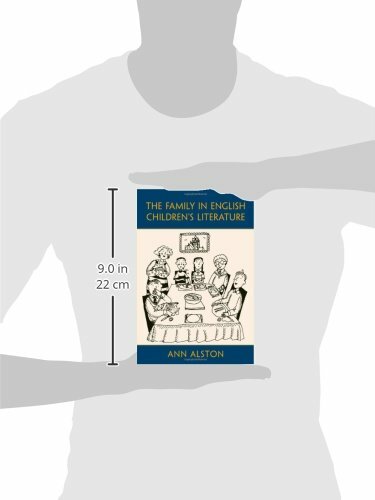 For Ann Alston, Lecturer at the University of the West of England, contemporary children’s literature too often harks back to what she describes as ‘a nostalgic and perhaps ahistorical vision of ideal nuclear families’. Often failing to match the lived experience of modern children themselves, such literature risks presenting young readers with an ideal missing from many of their own lives. But this vision remains highly acceptable to establishment views that persist in treating the idealised nuclear family as a political goal in its own right. Alston argues her case well, quoting authors from Mrs Sherwood to Anne Fine and picking out in particular the varying treatment in family literature of key domestic issues such as the provision of personal space and the choice and consumption of food. But children’s book have always reflected not just what is going on in society but also young people’s favourite fantasies, however distant these may be from current reality at the time. So in an age of fractured marriages and increasingly fraught relationships, it is hardly surprising that happy fictional families remain objects of wish-fulfilment for all those children not enjoying the same thing in their own lives. Alston would have the feeding of such fantasies otherwise, and her own arguments on this and other matters in this densely written book are always clearly framed and intelligently put forward.